Back in the Hospital - Who Said Nothing in Life is Free? Posting may be a little sparce over the next few days. 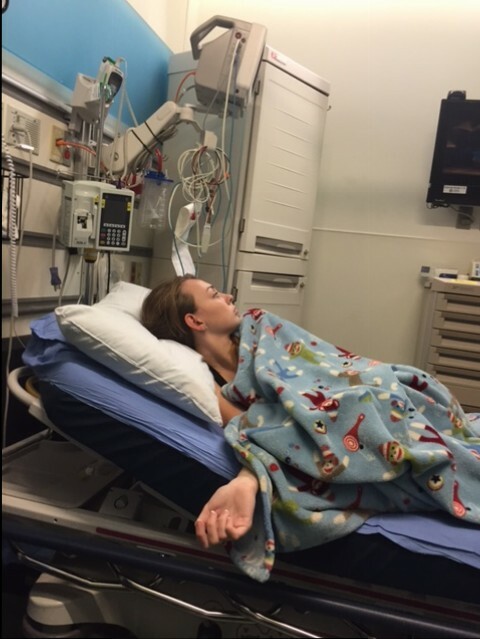 Last night Kaley got admitted back into the hospital after some scans showed a bunch of fluid build up inside her. She has been having a lot of pain for the past couple weeks and then started a fever so we went to the ER to have her checked out. They are giving her IV antibiotics and are going to see if they can put in a drain for all the fluid. Please keep her in your thoughts and prayers ! Sorry to hear about Kaley! Wish her the best. You all will be in our thoughts and prayers. So sorry to hear this. Will be praying for her. Sorry to heart that Kaley is not well. Will keep her and family in my prayers. Will keep your family in my thoughts and prayers. OOOOOOOOO Sweetie – feeling sad for Kaley and You – please know that we will be praying for Kaley and the doctors that are treating her for all the best. Please keep us updated on sweet Kaley! hope she is feeling better real soon!